When spring comes to light, in Quebec, Maple Sugar Time begins. This is the period when maple syrup is harvested. We gather in sugar shacks to celebrate with family or friends. However, nothing prevents you from tasting some maple syrup from your own home. 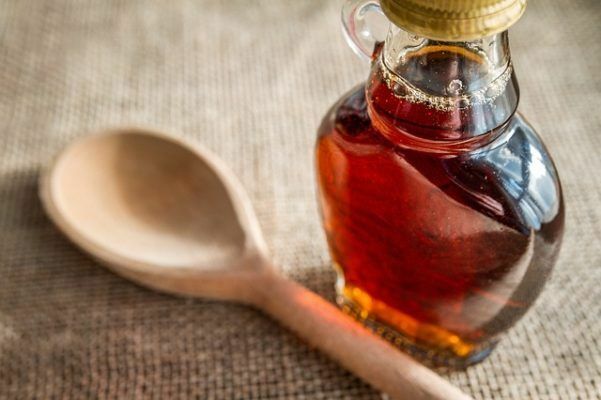 Here are some yummy recipe suggestions that showcase maple syrup. This ‘healthy’ version of crème brûlée is made in an edible container: an apple. The apples are filled with maple syrup and silky (very soft) tofu and caramelized. It’s simple and original! Maple syrup is great for adding a subtle flavour to meats or fish. It goes particularly well with salmon. You can often easily replace honey with it in your favorite recipes. It’s still early for barbecue time, but fortunately these ribs can be baked! This recipe makes tender spicy ribs that are sure to please everyone.